Accessible, Portable, Weather Proof, Fully Licensed! Holy Smokies Experience welcomes you! All smokies are only $6 each, which includes deluxe bun, fried onions and a large variety of condiments. 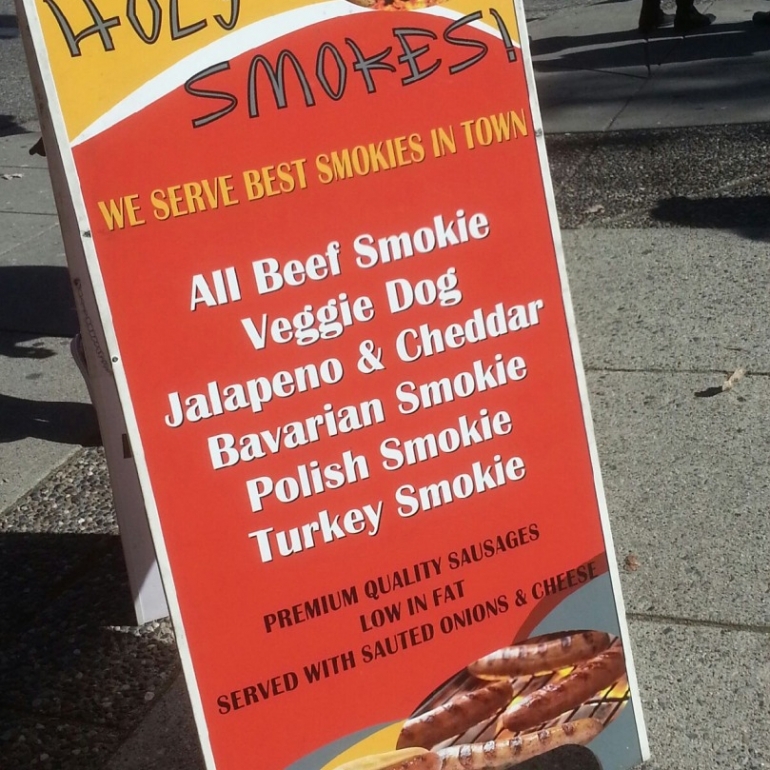 All Smokies are local from a factory that has been specializing in producing top cut Sausages for 30 years!